Ferndale and the below veterinary clinics (among others) have enjoyed a fantastic relationship over the years. Pets require veterinary examinations before they embark on their journey. The vets also look after any of our boarding clients who may need medication during their stay. We are equally happy to use our own partner vets, or work closely with your regular veterinarians. Your pet’s safety and welfare is our priority. In fifty years Crown has carefully mastered the art of successful relocations. Crown has been partnering Ferndale Kennels and Cattery for years and as a Crown customer you can rest assured that your pets will be handled with the care and compassion you show for them daily, and enjoy a safe and successful relocation. A leading relocation solution provider, helping 16,000 Families a year. Global Offices in 47 Countries. Through UniGroup’s global network, their Hong Kong office can assist you with local and international relocation services anywhere in the world. From the packhorses of the early seventeenth century, to the most advanced shipping and transportation methods of today, with over 600 locations in more than 40 countries Allied Pickfords has grown to become one of the largest and most respected providers of moving services, handling over 50,000 international moves every year. HK Rescue Puppies is an all volunteer run, non-profit HK Government registered Animal welfare society, that rescues, rehabilitates & homes abandoned & stray puppies & dogs in the Sai Kung district of Hong Kong. HK Rescue Puppies have lots of gorgeous puppies & dogs available for adoption to safe, loving forever homes, where they will receive vet care (when necessary), calm and consistent leadership, regular daily exercise, companionship and affection. We also work alongside other reputable animal welfare groups in HK, so if we don’t have the pet you are looking for, then we can refer you to other groups who may be able to help. When there are so many rescue puppies and dogs looking for love, please do not buy one from a pet shop, as this will most likely support inhumane puppy farms in HK and China. We are always looking for volunteers to help with fostering, homing, advertising and fund raising. If you love animals but are not able to commit to a dog long term, then fostering may be a good option for you, or you could always help out with a donation. Please give generously as 100% of all donations go directly towards helping the animals that we rescue. HSBC - 808-833032-001 - HK Rescue Puppies. Bring some unconditional love into your home today! 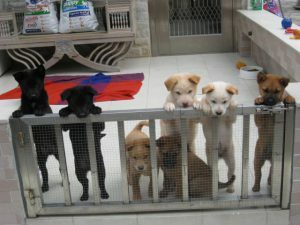 Adopt a HK Rescue Puppy & save a life! For more information about our work, please join and like us on Facebook. HK's First qualified "Dog Listener" - Hazel Black. 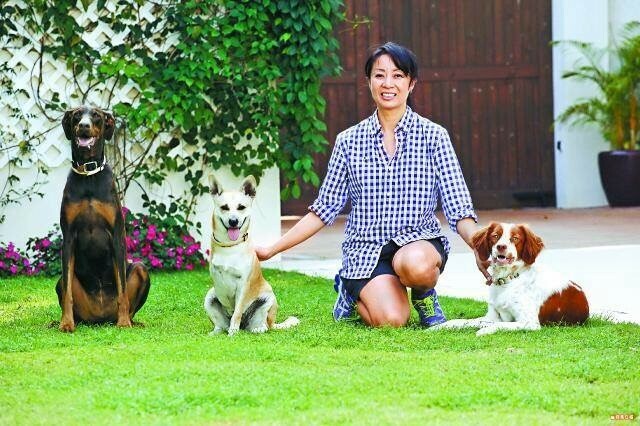 If you are looking for a dog behaviourist with life time back up, please e-mail Hazel at hkrescuepuppies@gmail.com. 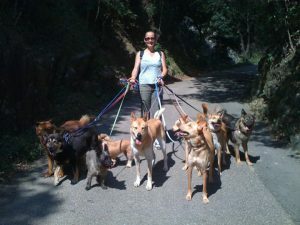 The Dog Listener methods of Amichien Bonding can help any dog with any behavioural issues that aren't health related. Hazel teaches dog owners how to communicate with their own dogs in a language that dogs understand by making subtle changes to their lifestyles. No gadgets, dominance or force are used. The methods came from studying the natural instincts and habits of wild wolves, from whom all domesticated dogs descend. If all aspects of AB are followed calmly and consistently, your dog will happily choose you as the pack leader and will follow your guidance with love and devotion; making life happy and calm for all concerned. Animals and people can all live in harmony with each other, so long as there is good energy, respect and consideration for each other. Hazel is offering a 50% discount in her fee for her first 20 clients who have adopted a Puppy or dog from HK Rescue Puppies. Rose Tang, CPDT- Hong Kong’s first U.S. 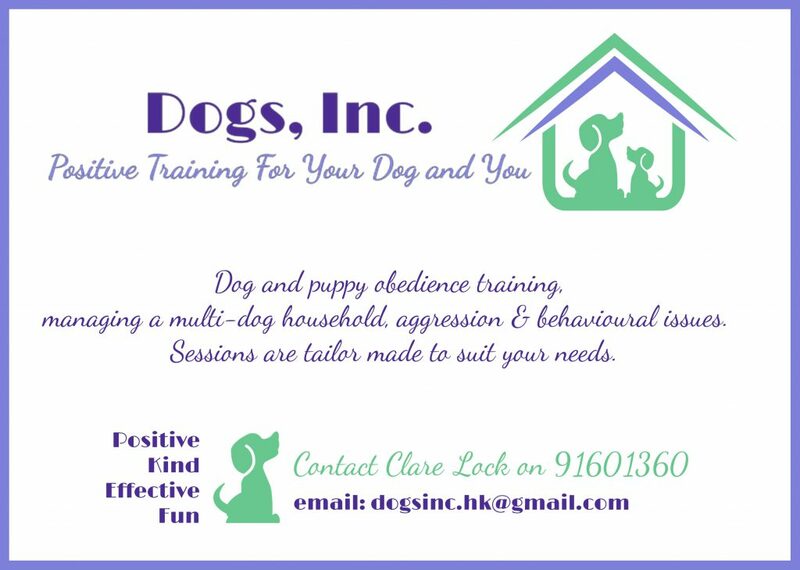 Nationally Certified Professional Pet Dog Trainer and Animal Behaviour Counsellor, has extensive animal care and training experience working in SPCA for over 7years, a popular speaker for various organisations including the HK government for dog handlers, training instructors and pet guardians. She also had a popular Puppy Training School show at Hong Kong Ocean Park and was the Guinness World Record Trainer and Presenter for the Largest Dog Obedience Class in the world. She has trained alongside the world’s most renowned and prestigious animal trainers training children, cats, dogs, chickens, tigers, alligators, goldfishes, rabbits and dolphins, etc. Rose, who has continued to build on her skill set, is now widely recognised as one of Hong Kong’s pre-eminent animal trainers. 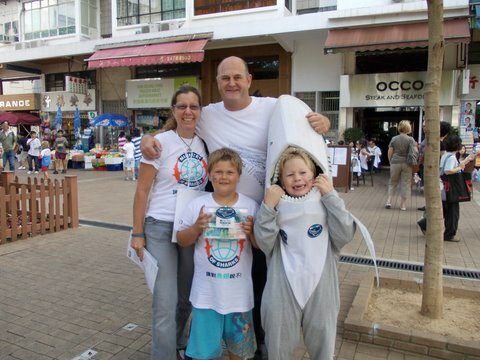 WWF No Shark Fin Corporate Pledge! Sharks have existed for more than 400 million years but it has been drastically overfished in the recent 100 years. Up to 73 million of sharks are harvested unsustainably every year. The number of sharks being threatened has multiplied by twelve-folds since 1996. This alarming rate reflects enormous market demand is exerting heavy pressure on the existence of sharks as well as the ecosystem balance. Hong Kong alone is handling about 50% of the global produce. The WWF No Shark Fin Corporate Pledge plays a key role on the issue. Therefore, your pledge has a huge impact to global shark conservation and every staff of your company should be very proud of it. Copyright ©2019Ferndale Kennels & Cattery. All Rights Reserved.